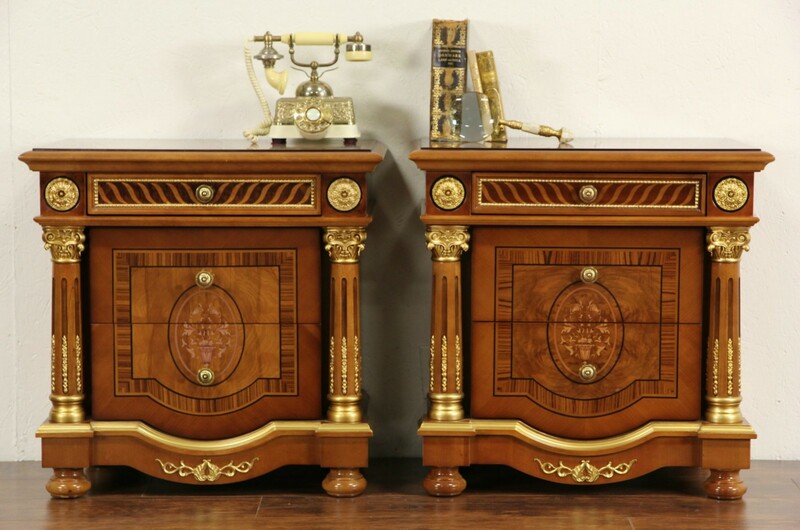 A pair of palatial small chests, nightstands or end tables are about 10 years old and in impeccable condition. This elegant furniture is cherry with elm burl and inlaid marquetry of ebony and rosewood. The polished original finish is in superb condition with rich gold accents. Fluted columns have Ionic capitals on this unsigned pair. Size is 27" wide, 18" deep and 27" tall.